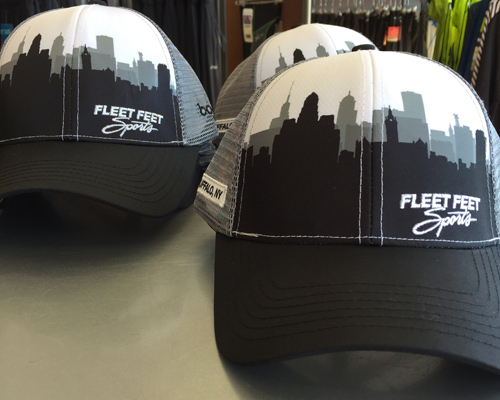 New for spring is our very limited edition Fleet Feet Sports Buffalo Skyline Trucker Hat by BOCO Gear. This is a technical trucker hat, so you'll have performance fabrics along with the trucker look. Again these are very limited edition, once they are gone, they are gone!